When Marty Castro’s father was told “Mexicans don’t vote,” he ran for local office and won. Sharing his father’s defiant spirit, when Marty Castro was prompted to skip school and work at the steel mill, he chose to attend school instead. 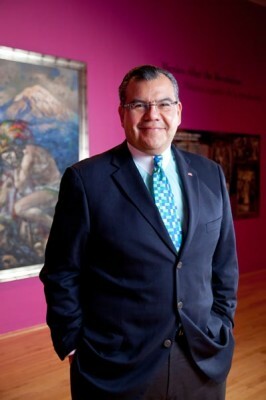 He now serves as chairman for New Futuro and has been named chairman of the US Commission on Civil Rights by President Barack Obama. That’s because he grew up in an activist family. His parents didn’t have the access to education that Castro eventually would, but they imparted in him tenacity, a love for his culture, and a social consciousness that ran deep. Despite being afforded privileges not bestowed upon his parents, Castro’s life mirrored his father’s in many ways. Castro attended the same Catholic high school that his father had to drop out of in order to work and eventually fight in the Korean War. When Castro began to consider college, his guidance counselor attempted to dissuade him, instead recommending that he go to work in a steel mill, instead. When Castro’s father decided to run for local office, he went to the mayor to ask for permission and the mayor said no, because “Mexicans don’t vote.” Castro’s father ran anyway—and he won. With the same spirit of defiance, Castro applied to only two colleges: DePaul University and Loyola University Chicago—and he got into both. Castro chose to attend DePaul University for undergrad. During the day he would attend classes and work as a “gofer” for lawyers, often taking janitorial jobs during the summer to help pay for his tuition. In the evenings, he volunteered at his father’s political office. “It was an interesting time. During the day, I learned about politics from books and at night, I received my real-world political education,” Castro says. When it came time to apply to law school, expanded his options and applied to 12 schools. An excellent student, he was accepted by 11, but for Castro it was between two: the University of Wisconsin Madison and the University of Michigan Law School. Wisconsin Madison was actively recruiting Latinos as the time, which was rare, and the school offered Castro a full ride, along with a $10,000 a year stipend. Despite these unbelievable perks, he chose the University of Michigan Law School. Castro enjoyed an illustrious career in law before founding Castro Synergies, LLC, which provides consulting services to corporations, entrepreneurs, and nonprofit organizations. He also cofounded New Futuro in 2010, an organization devoted to helping Hispanic parents and students on the path to higher education. In 2011, New Futuro was acquired by AP Capital Partners, with Castro serving as the organization’s chairman. By all accounts, Castro is the illustration of the American dream. He was the first in his family to go to college and followed in his father’s footsteps, running for Congress from Chicago’s fourth congressional district in 2002. 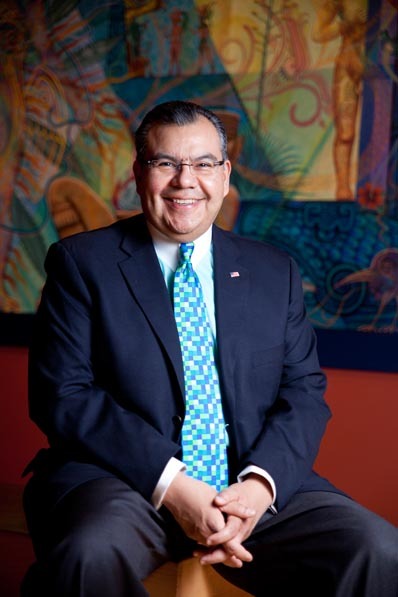 Castro was named chairman of the Illinois Human Rights Commission in 2009 and in January 2011, he experienced his proudest moment yet: he was appointed by President Barack Obama as the chairman of the US Commission on Civil Rights.